I love seeing client and candidate feedback about our team. 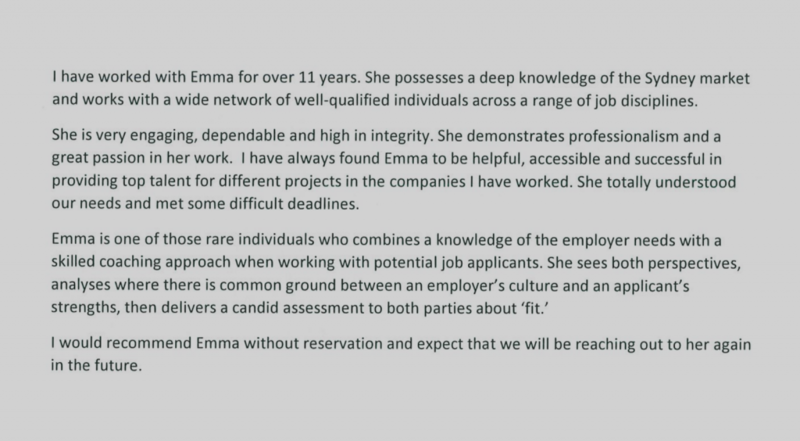 Emma’s been exceptional from day one (and long before day one with Sterning, as you can see below). Smart, driven, knows what she wants, and not afraid to tell it like it is.